With the dust slowly settling after the initial clamor of the MWC announcement of the Samsung Galaxy S6 and Galaxy S6, we got to spend a few more relaxed moments with the Korean flagship pair. While they're impressive from any angle, we tried to focus on a few key points which we considered most important to the buyer, namely looks, camera output and performance. 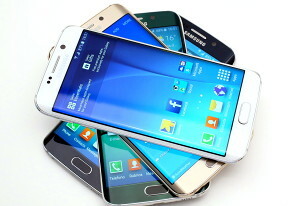 The Galaxy S6 and Galaxy S6 edge have their differences, but they all come down to design, and consequently handling. In terms of camera and hardware they are identical, display curves aside. Hence, for the purposes of this article you can assume that when we mention the Galaxy S6, we're referring to both versions at once. Naturally though, if there's a distinction to be made, we'll point it out. The high-end duo was designed from the ground up to offer the coveted premium feel, which was sadly missing in previous generations. Samsung was clearly lagging behind the competition in terms of materials, even if the word flimsy could never be spotted in the same sentence as build quility. With the new generation flagship in our hands, it's become obvious that rivals and customers alike will have a hard time finding fault with Samsung's design. After numerous contradicting rumors claimed a Sony 20MP sensor one day, and then a Samsung-made imager the next day, eventually the Galaxy S6 ended up with a Sony unit. Not only that, but it happens to be the same sensor, employed in the Galaxy Note 4/Note Edge combo, the Sony Exmor IMX240. What sets the Galaxy S6 apart from the company's latest phablets is the new faster lens. Moving on to performance, the Galaxy S6 comes equally well prepared. Whether the Qualcomm issues forced Samsung to utilize its own silicon or the company was going to move to an in-house solution either way, has become irrelevant by now. 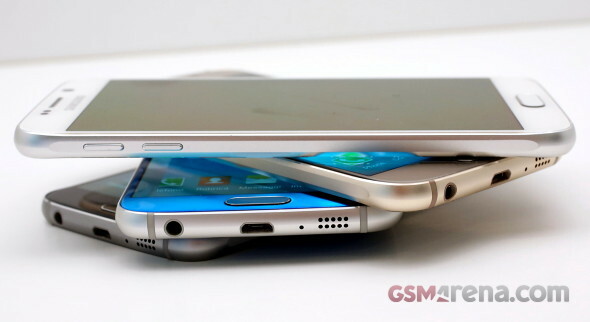 The fact is, that the Galaxy S6 is fitted with the most advanced chipset currently in a smartphone. The specs are very much what we anticipated from a high-end device, released in 2015 by one of the market leaders. The company's expertise in putting excellent hardware to work for the end user is undeniable and we expect nothing short of a blazing fast experience with the image output quality to match. No definitive conclusions can be drawn from the demo units, suffering from the constant abuse of curious press folk and often running non-final firmware. That said, the first impressions we'll share with you on the following pages can be taken as an indication of what to expect, when the Galaxy S6 and Galaxy S6 edge hit the shelves. So it looks like you're a so called "phone expert" based on your comment.... So what smart phone do you recommend us on getting?